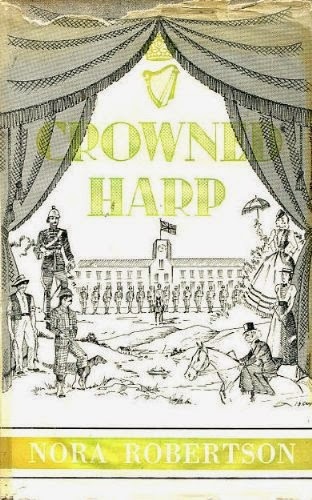 Crowned Harp – Memories of the last years of the Crown in Ireland Nora Robertson. Allen Figgis, Dublin, 1960. pp 183 illustrated with drawings. Jim Cooke, who has been corresponding with me lately about my father, mentioned this book where the authoress describes her meeting with my father and with Kevin O’Higgins and other leaders about 1925. I borrowed the book from the RDS, read the first forty five pages or so and the last chapter 16. The rest I skipped. This book was added to the RDS library in 1964 shortly after its publication. I was informed by the staff that I was the first person to read it in their library! That is 48 years later. It cost five shillings. Robertson was descended from a number of old Munster families who had taken part in the Munster plantation of the 17th century. Their names included Parsons, Spencers, Boyles and Graves. They were the victors of the Desmond Wars and of the wholesale destruction of the local population and of the old Celtic landlords, the Geraldines, the Ormonds and the Butlers. The authoress says little or nothing about the ravages created by Sir Walter Raleigh, supported by Queen Elizabeth. With her connivance, he and his henchmen behaved drastically in slaughtering so many of the indigenous Irish population. 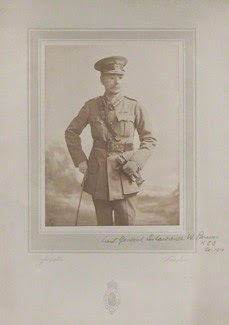 Robertson’s father was in the British military and finished as a senior officer with the title of General Colonel with diplomatic as well as military responsibilities. She and her family lived much of their earlier time in Ireland and one is struck by the distant relations the privileged Church of Ireland population had with the local people and their remoteness from the Catholic majority. She understands, however, that no minority can ever hope to control the majority in perpetuity and, of course, the widespread establishment of the Catholic schools after the Catholic Emancipation and the gradual control of local politics through the admission of Catholics to the electoral register in the late 1800s made majority control by the local Irish population inevitable. 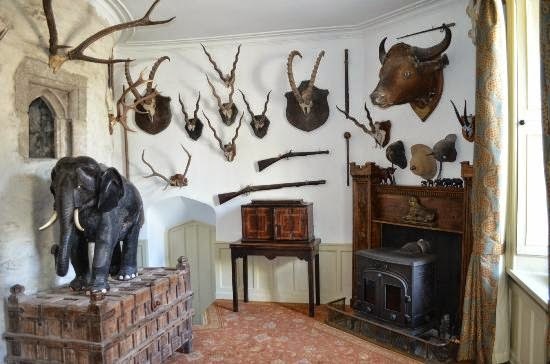 Despite the Robertson military background and their limited income, they maintained high-brow social contacts with the gentry and were involved with their pastimes such as riding, croquet, tennis and game shooting. At times, during their time in Ireland they seemed to find little beyond the garrison horizon and the drawing rooms of their privileged titled companions. The book gives a good insight into the relations between the Anglo-Irish, the military and the Church of Ireland people and later with the emerging educated Irish and the political leaders of the new State. Her book covers the period from the late 19th century to her publication of 1960. She underlines the major, almost exclusive, role the Protestant minority played in the great Celtic revival at the turn of the century, a revival which was to contribute indirectly but significantly to the nationalist movements which gathered in Ireland during the 20th century. 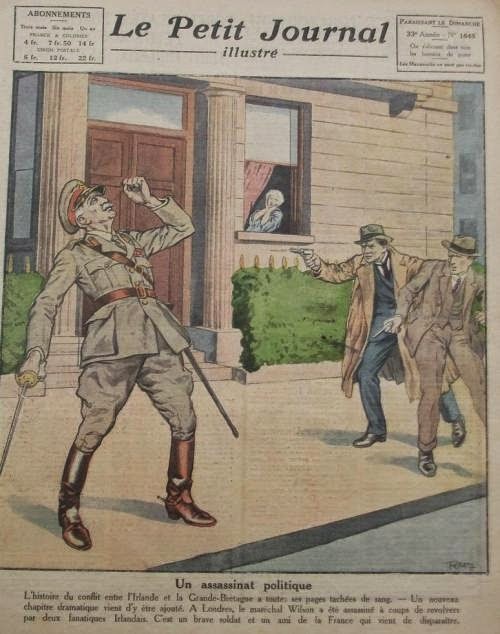 The Anglo-Irish clearly accepted the early leaders of the Irish Free State and became friendly with them despite their earlier concept of the Irish leaders as being terrorists. 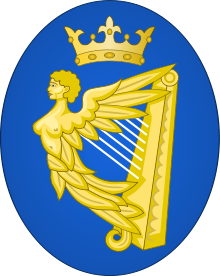 It is not surprising that the middle class Protestants and Catholics in the South gradually merged as one society in view of the first Free State government’s generosity towards the Protestant minority, consonant with the Treaty undertaking by the Irish delegates during the negotiations in London. It was clear from the author’s text that Sir Henry Wilson, who was assassinated some months after the Treaty settlement, was a major figure supporting the more recalcitrant Tories in resisting Irish nationalists’ aspirations, including the limited Home Rule of Parnell and Gladstone. He was the personification of my father’s Tory who showed little feeling for the unique difference between British and Irish culture and national identification. I found the contents of this book rather tedious, with much name dropping and the feelings of superiority and self-satisfaction of the Protestant minority in Ireland. However, it also inspired a few moments of wider thought about the history of the two islands, the conflicts which were part of our heritage but also I was reminded about the culture, the language, the worldwide influence and the international standing which these two islands played in recent centuries. 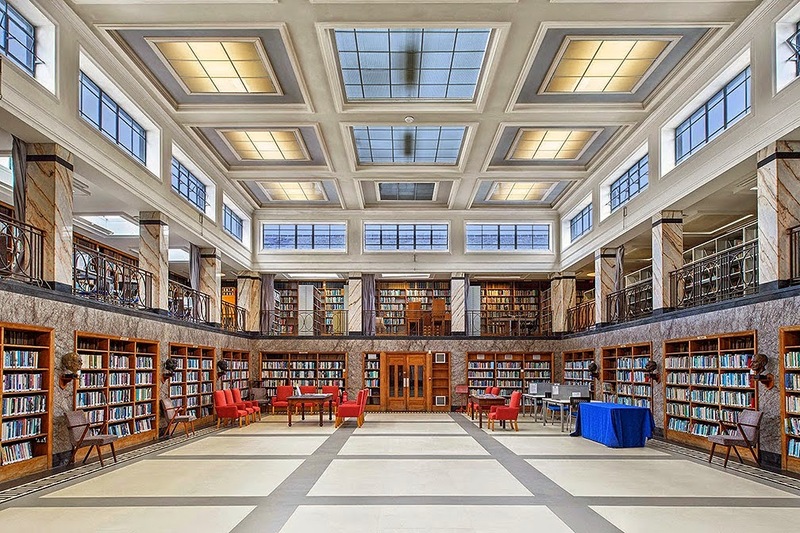 The RDS Library - for those of us who haven't had the pleasure. There are some drawings illustrated by Ian Gray scattered in the text. Nora Robertson’s newspaper death notice was attached to the title page of the RDS copy I read. She died in 1965 at her residence, Huntington Castle, Clonegal close to Ferns. Her husband’s name was Manning Robertson.